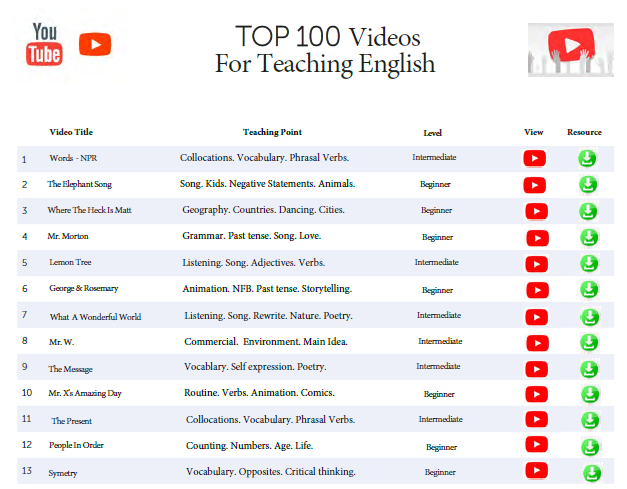 The ultimate list of the Top 100 Youtube Videos for English language teaching. 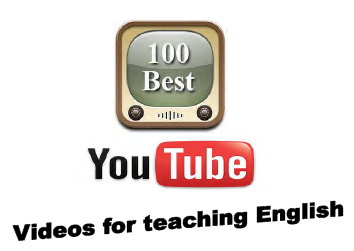 Download videos and full lesson resources for each top video (you'll need an EFL Classroom free membership). See the public Youtube playlist of all videos here. 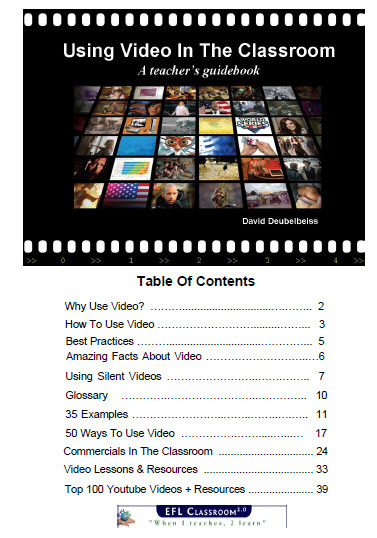 If you love using authentic language and video in your classes - whatever the level of student - this book is a must material! Click the preview button above for a sample. 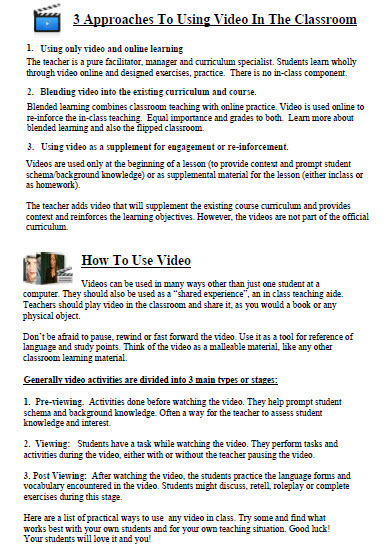 Also includes the full Using Video In The Classroom handbook. 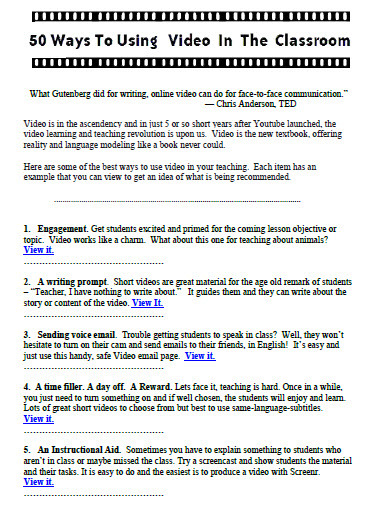 A complete resource for using video in the classroom.